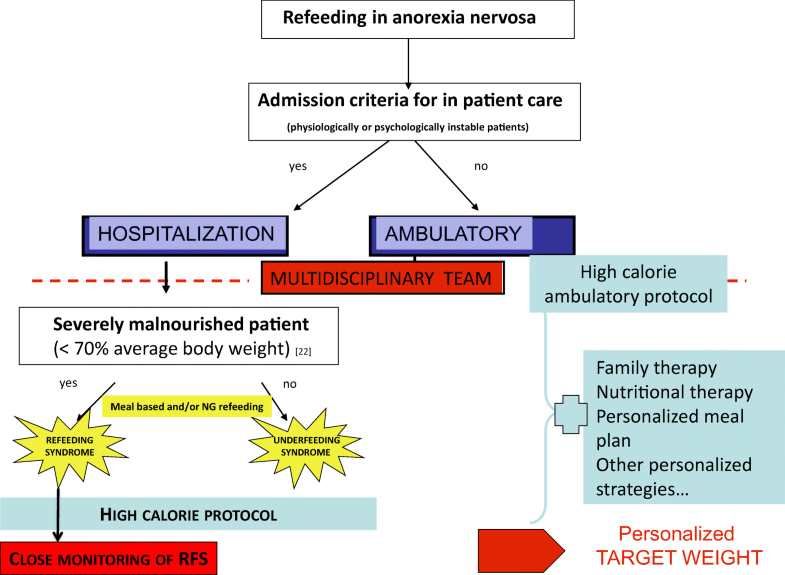 Refeeding in anorexia nervosa is a collaborative enterprise involving multidisciplinary care plans, but clinicians currently lack guidance, as treatment guidelines are based largely on clinical confidence rather than more robust evidence. It seems crucial to identify reproducible approaches to refeeding that simultaneously maximize weight recovery and minimize the associated risks, in addition to improving long-term weight and cognitive and behavioral recovery and reducing relapse rates. We discuss here various approaches to refeeding, including, among others, where, by which route, how rapidly patients are best refed, and ways of choosing between them, taking into account the precautions or the potential effects of medication or of psychological care, to define better care plans for use in clinical practice. Conclusion: The importance of early weight gain for long-term recovery has been demonstrated by several studies in both outpatient and inpatient setting. Recent studies have also provided evidence to support a switch in current care practices for refeeding from a conservative approach to higher calorie refeeding. Finally, the risks of undernutrition/“underfeeding syndrome” and a maintenance of weight suppression are now better identified. Greater caution should still be applied for more severely malnourished < 70% average body weight and/or chronically ill, adult patients. • Refeeding is a central part of the treatment in AN and should be a multidisciplinary and collaborative enterprise, together with nutritional rehabilitation and psychological support, but there are no clear guidelines on the management of refeeding in clinical practice. • The risk of a refeeding syndrome is well known and well managed in severely malnourished patients (“conservative approaches”). 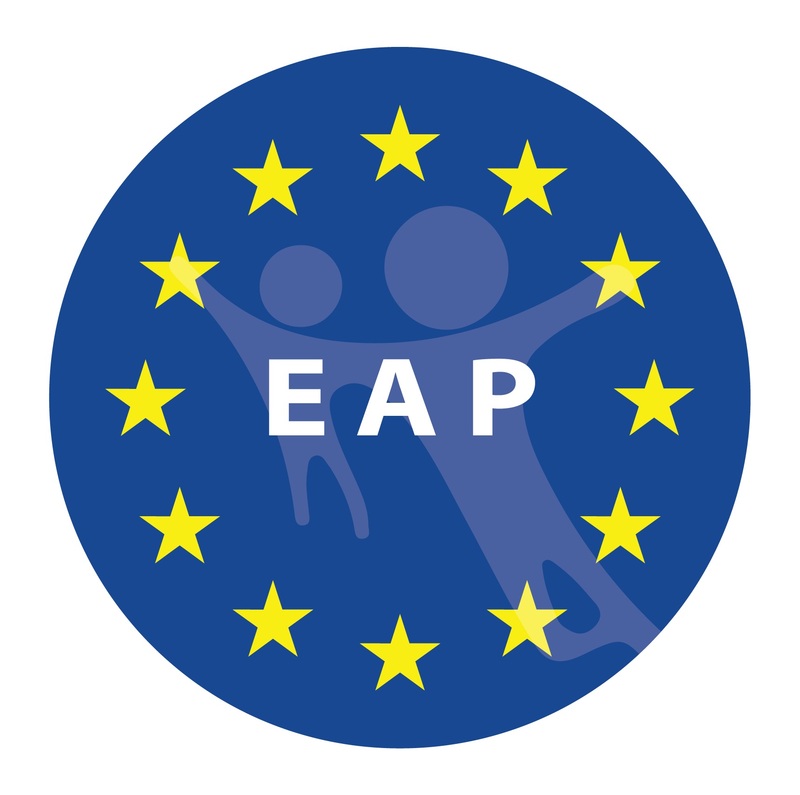 • There is evidence that early weight restoration has an impact on outcome, justifying an aggressive approach to refeeding in the early stages of the illness. 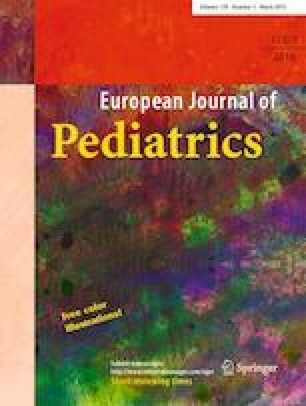 • The risks of “underfeeding syndrome” and of a maintenance of weight suppression are now better identified and there is sufficient evidence to support a switch in current care practices for refeeding from a conservative approach to higher calorie refeeding. AB and JC did review the literature, AB wrote the first draft, and AP and JL made substantial corrections and corrected the first draft. All authors approved the final version of the manuscript.